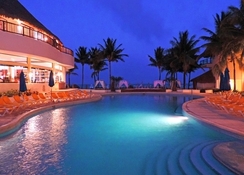 The Reef Coco Beach can be found in an ideal spot in Playa del Carmen, on the Mexico Caribbean Coast. Located just a short stroll from 5th Avenue, the resort offers the perfect mix of white sandy beaches and the vibrant and exciting sites dotted across the city. 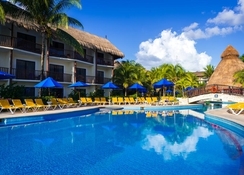 This all inclusive hotel offers a taste of tropical paradise, and guests can make the most of the personalised service on offer, comfortable rooms and abundance of facilities made available. The hotel is a great choice for couples looking for a Caribbean location for their next romantic getaway. The rooms and suites all come with terrace or balcony, air conditioning, mini bar, ceiling fan, cable TV, vanity mirror, hair dryer, telephone and en-suite bathroom with shower and bathtub. Guests can also indulge in one of the three on-site restaurants at The Reef Coco Beach, each of which serves up excellent cuisine and light snacks, with a variation of local and international dishes, freshly caught seafood and daily specials. The amenities at Reef Coco Beach ensure guests experience ultimate R&R, with a swimming pool, gym, boutique, spa, watersports and a selection of tours to enjoy. 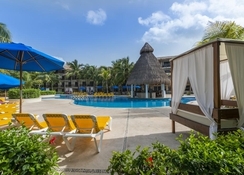 The Reef Coco Beach is about 45 minutes from the International Cancun Airport in the region of Playa del Carmen, Mexico. 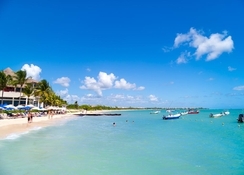 You will find the hotel nestled on the coastline offering easy access to stunning beaches and crystal-clear waters. The famous 5th Avenue is just a short walk away with its many shops, restaurants and bars and there are plenty of cultural activities and excursions to be enjoyed. 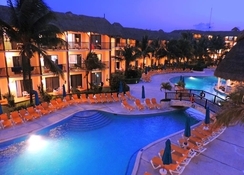 The Reef Coco Beach offers guests a choice of well-furnished and serviced rooms and suites. All of the 196 rooms come with a gorgeous terrace or a balcony area, air conditioning, a mini bar, ceiling fan, cable TV, vanity mirror, hair dryer, telephone and en-suite bathroom with shower and bathtub. Certain amenities may be payable locally. The hotel has three restaurants on-site that will make dining each evening easy, and with the huge range of cuisines on offer you will be sure to find something to suit everyone. The Rosinella Restaurant offers up a delectable a la carte Italian menu in a romantic and quiet setting. The Sabor Latino restaurant features traditional Mexican cuisine and the Miramar restaurant is hosted in a beachside location offering a buffet service from breakfast, through to lunch and dinner. At the El Palmar, Azul 48 and Heaven Discotheque you will find a variety of drinks and live music where evening entertainment is available. The hotel has also recently launched Samurai, a Japanese restaurant. The Reef Coco Beach is the right choice for couples looking for a serene beachfront location on their romantic holiday to Mexico. 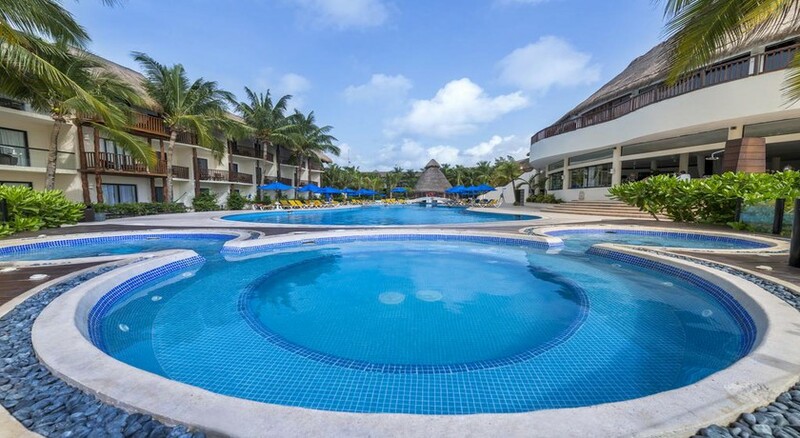 Here you can enjoy the stunning surroundings and interesting culture of Playa del Carmen as well as the wonderful facilities and plush rooms and suites to relax in. 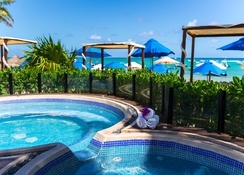 The Reef Coco Beach has a large central swimming pool that's surrounded by a private garden and sun terrace. There are also three jacuzzis to enjoy and a range of sporting and fitness facilities. Make the most of the fitness centre and tennis and basketball courts and hire bikes from the 24-hour reception desk. Staff at the hotel is friendly and tentative and happy to help you plan excursions, make bookings and help you to organise car hire.